Whet for the double today, glassed the second side of the first set of panels and first side of the second set in one go. The first panels had some gaps so filled this with epoxy filler and 30mm tows of carbon. Taped as yesterday. 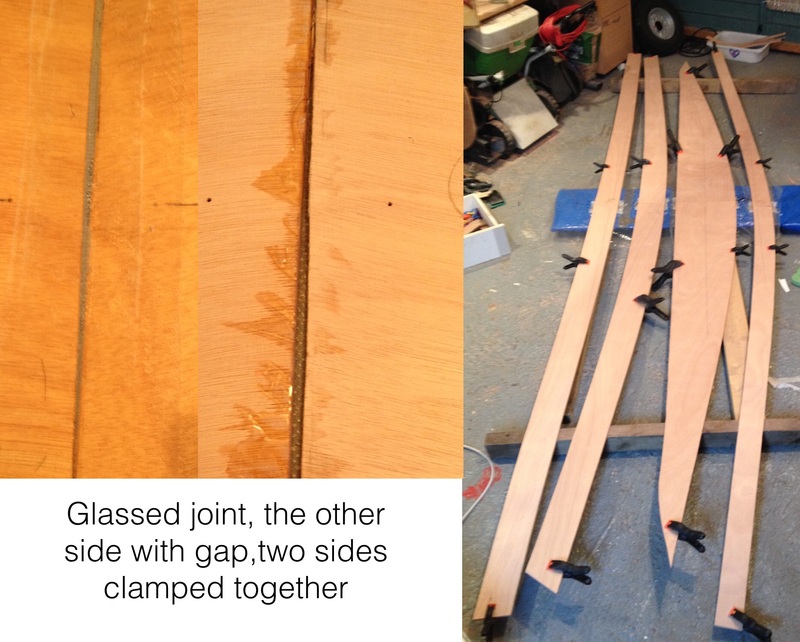 With polyethylene between the two I then clamped the second set of panels very accurately to the first. Pretty well guaranteed the two sides would be identical in the process. No you can’t have two many clamps. This all got glassed up as before.